We’d love your help. Let us know what’s wrong with this preview of The Walls of Freedom by Sara F. Hathaway. On the run, Erika, her husband, Vince, and their children flee the government forces in search of a new life. The Great Quake ten years ago left the United States devastated. FEMA camps sprouted up in Regional Districts to control the chaos and separate th "I just hope I...Have the spirit to go on fighting. Have the power to take on forces that are so much bigger than me." On the run, Erika, her husband, Vince, and their children flee the government forces in search of a new life. The Great Quake ten years ago left the United States devastated. FEMA camps sprouted up in Regional Districts to control the chaos and separate the landowners from the refugees. Erika and her family spent nine years as refugees in the camp before they found out that Vince's parents were still alive and they were searching for them. The Las Vegas FEMA Director, realizing his mistake, attempted to have the family eliminated to save his career. Vince and Erika take their family's future into their own hands and flee the camp in a cross the country action packed adventure. Will they find Vince's parents? Will society accept them again? Can they accept this new government system? 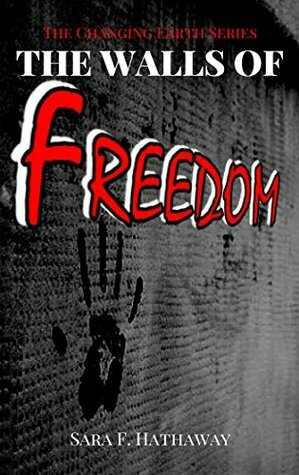 To ask other readers questions about The Walls of Freedom, please sign up.